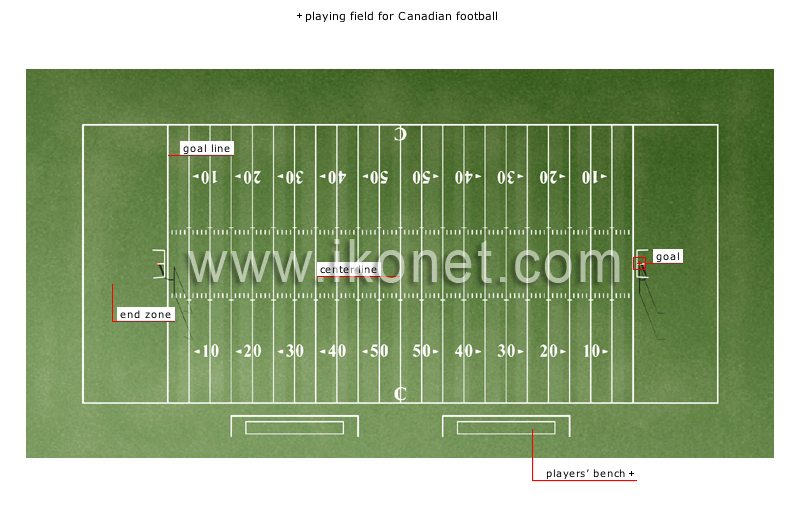 Rectangular surface covered with natural or synthetic grass; it is longer (150 yards) and wider (65 yards) than an American football field. Line dividing the field into two zones, one for each team; it is 55 yards from the goal lines. Line marking the start of the end zone; the goalposts are located on this line. Frame consisting of two goalposts and a crossbar; a team scores points by kicking the ball between the goalposts.